Attack 1 : Krusty Krabs hamburgers! 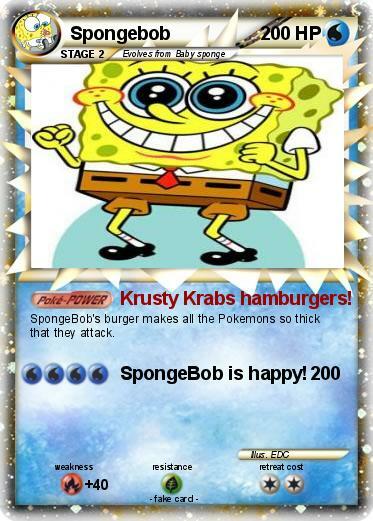 SpongeBob's burger makes all the Pokemons so thick that they attack. Attack 2 : SpongeBob is happy!